Pastor Craig A. Brittingham was born and raised in southern Delaware. After graduating from Delaware Tech, he attended Baptist Bible College and Seminary in Clarks Summit, Pennsylvania where he earned the Master of Divinity degree. Pastor continued his studies in Lanham Maryland at Capital Bible Seminary where he studied Aramaic. Before attending Bible College, he married his high school sweetheart, Melissa, in January of 1985. While at Clarks Summit, he was the Youth Pastor at Heritage Baptist Church (1987-1991). 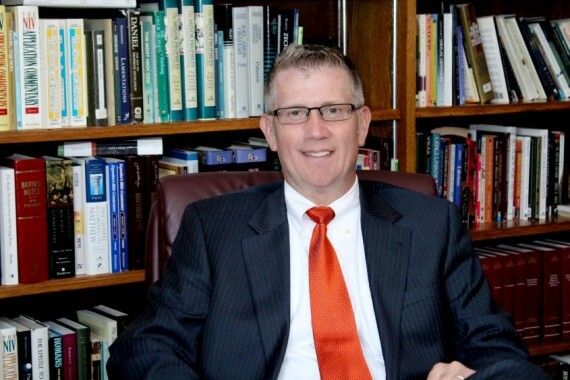 Since graduating from seminary in 1994, he has served as Senior Pastor at churches in Pennsylvania and Maryland. After spending over eight years as the pastor of Grace Baptist Church in Laurel, Maryland, he came to Hillside Baptist Church to serve as Senior Pastor in August of 2007. Pastor Brittingham’s passion is the study and proclamation of the Word of God so that people in Hornell and the surrounding communities might trust in Jesus Christ as their Savior and grow in His grace.